It's an exciting time of year, back-to-school season! My friend's son, whom I have know since he was three, is off to college, and I wanted to gift him something that was not only special, but useful as well. That's when I decided to put together the ultimate dorm room gift! 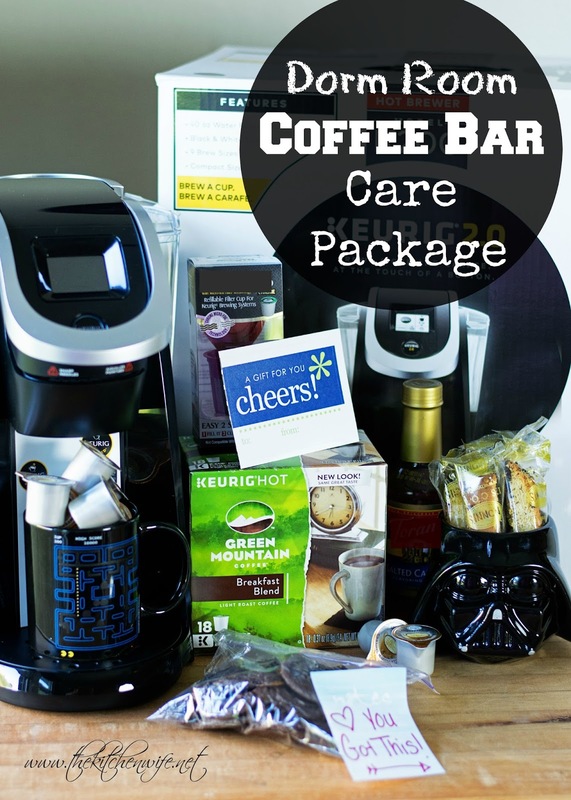 A coffee bar care package! Yes! I know! Perfect gift right!?! I mean, what are college students if not caffeinated! 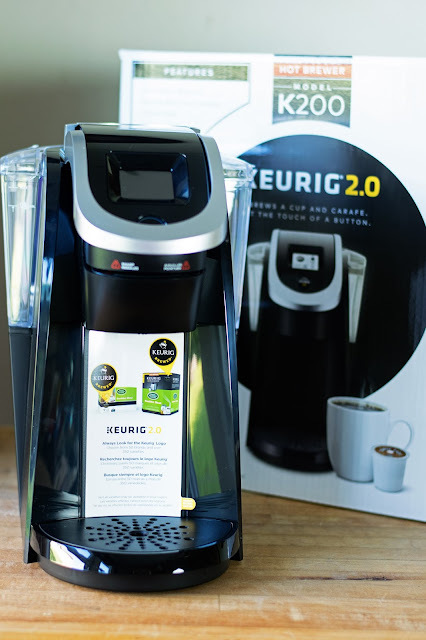 The base of any good coffee bar care package is the coffee maker and I can't think of a better machine for a college student than a Keurig. It’s perfect for a student budget because it’s less expensive than going to a coffee shop every day. And it’s being offered at #Walmart for a special everyday low price. I love that there are so many colors to choose from. Red, orange, oatmeal, teal, etc. He's a big gamer so I went with black. Then I needed to choose what kind of coffee to send. I couldn't believe how many great brands and flavors of K-Cups there are choose from! Everything from Lipton tea, hot chocolate, to every brew of coffee under the sun! I ended up choosing the Green Mountain Breakfast Blend because it has a nice base for just about any coffee drink. I picked up some fun mugs (I love the PacMan one. The board shows up when you pour the hot coffee in), his favorite flavored creamers, biscotti, some great syrups, and recipes for all his favorite drinks. Oh, and just so he knows how much I care, I baked some delicious Turtle cookies. 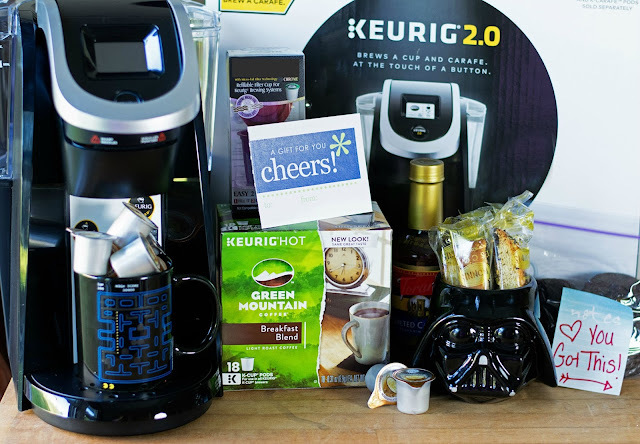 I'm pretty sure any college student would be THRILLED with a Coffee Bar Care Package like this, so if you're interested in sending a certain college student one of your own, visit the Keurig at Walmart site to choose the color that matches their style and see how to build coffee bar of your own. I really love this coffee bar package. Coffee is my most favorite beverage than others. I love to drink coffee in the morning. Roasted Coffee.